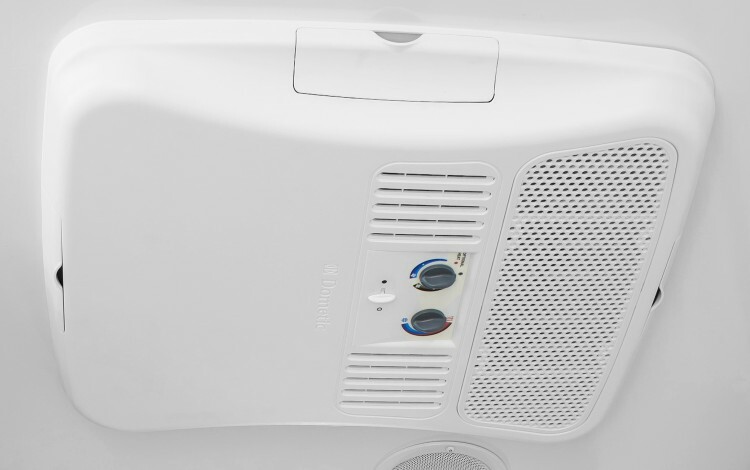 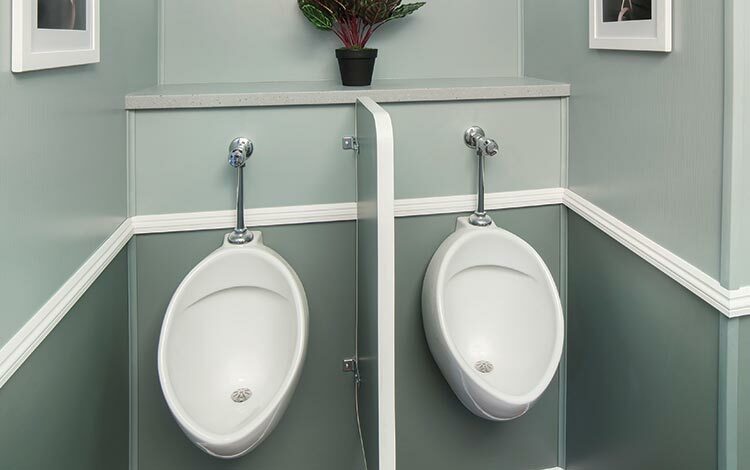 Your guests will appreciate it — and so will you! 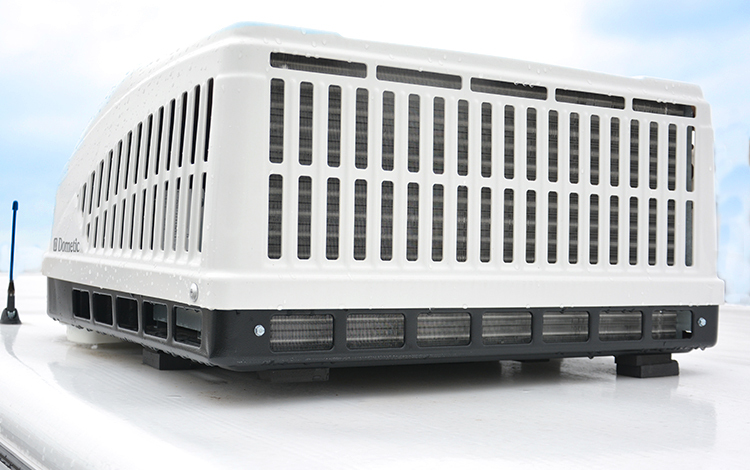 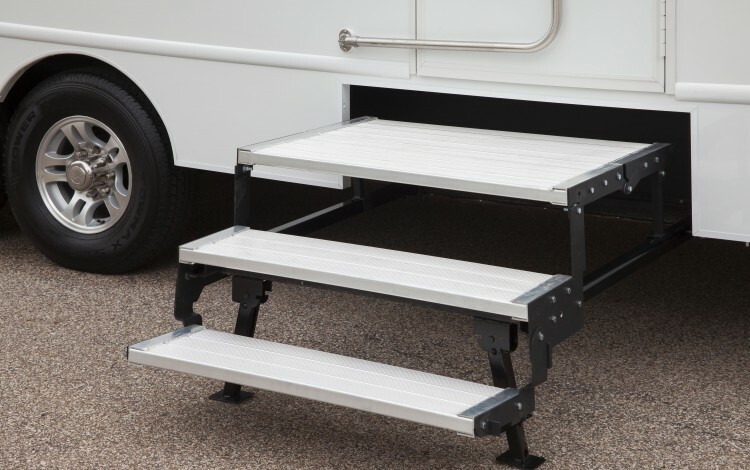 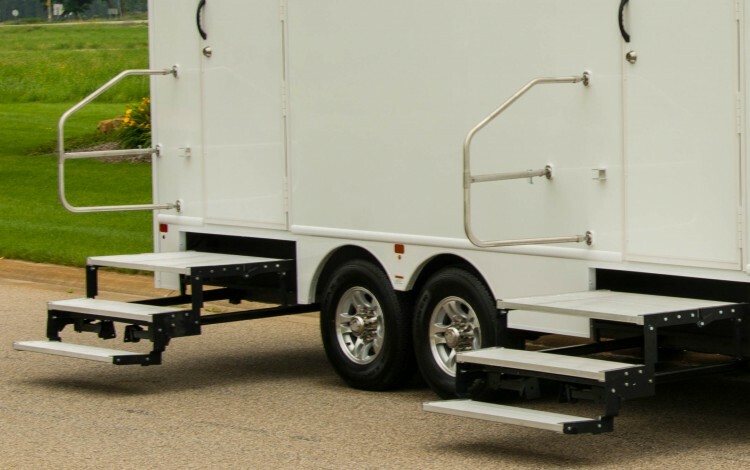 Want to step up your portable game for an upcoming wedding or event? 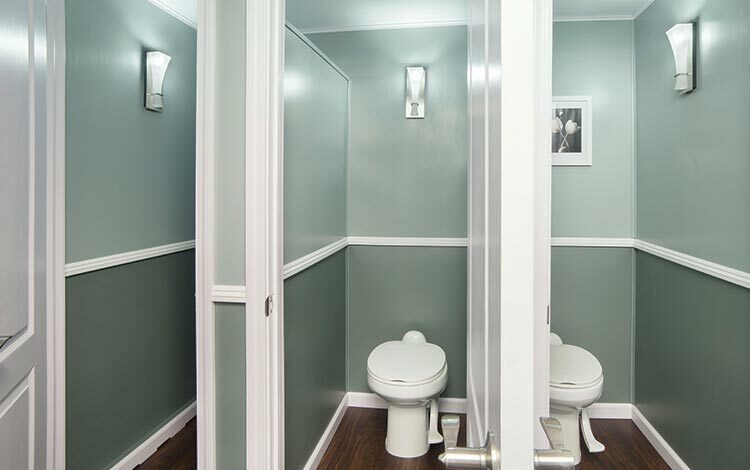 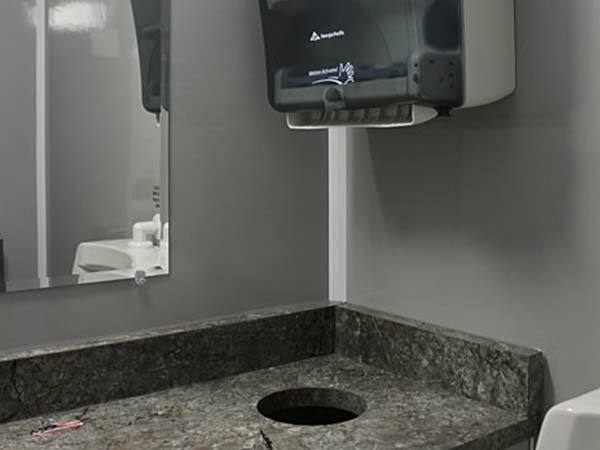 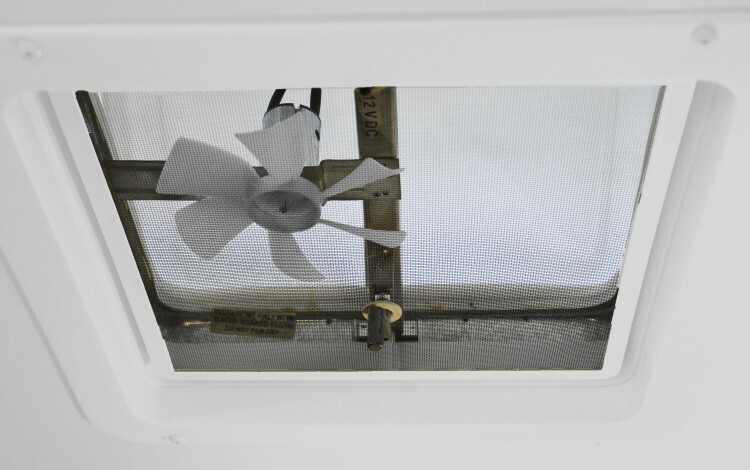 Little Stinkers now offers a way for you to substantially increase the comfort level for your guests with our luxury restroom rentals. 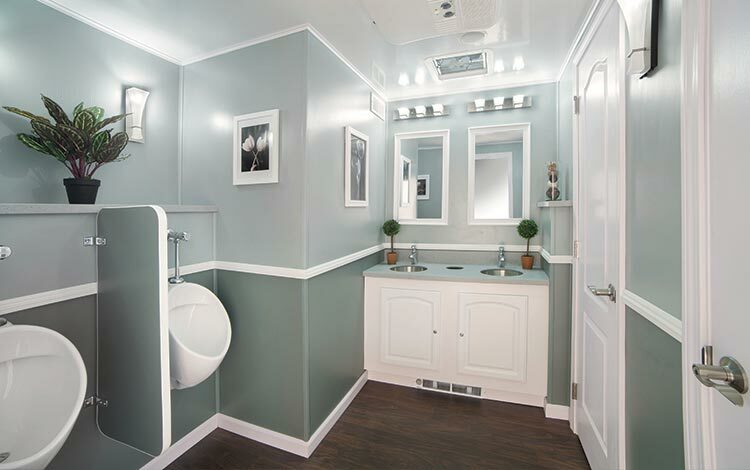 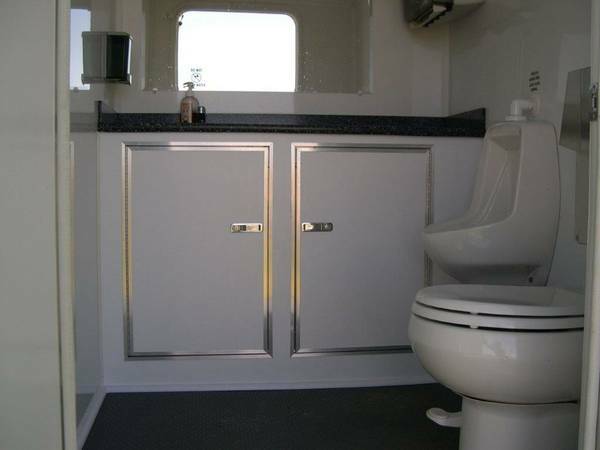 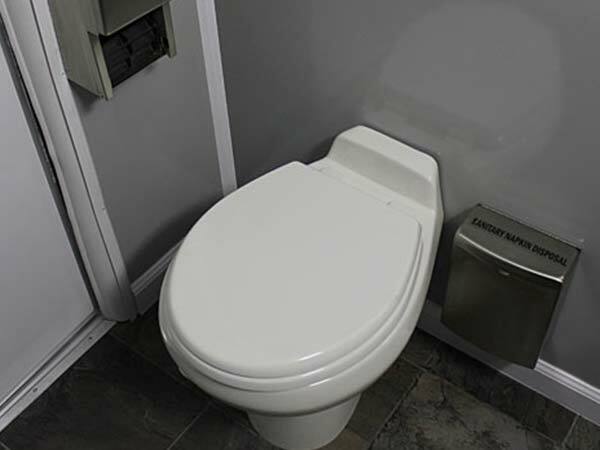 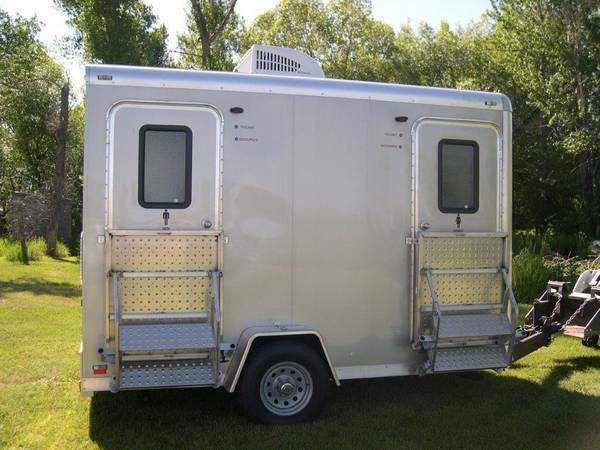 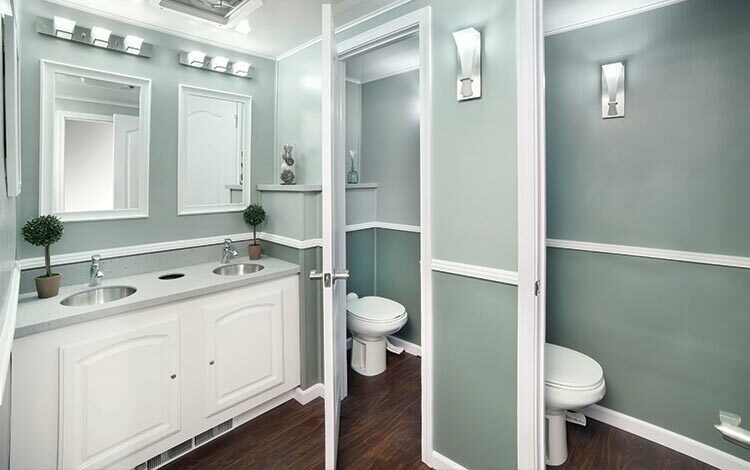 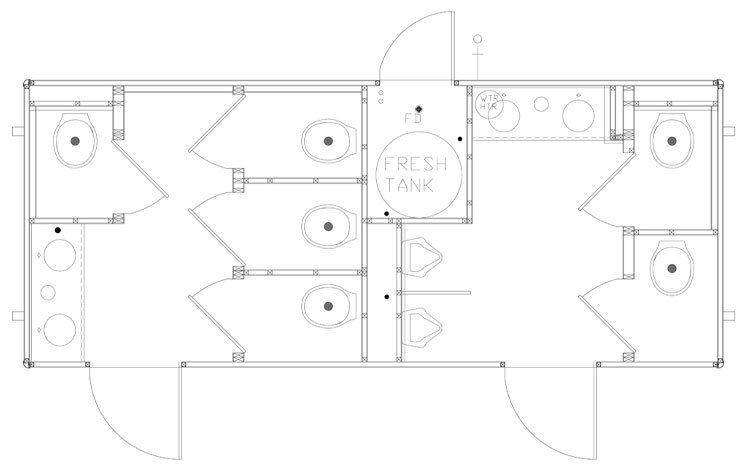 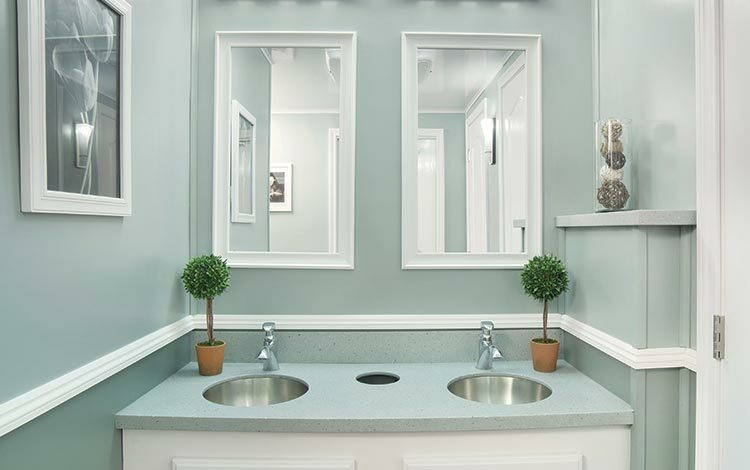 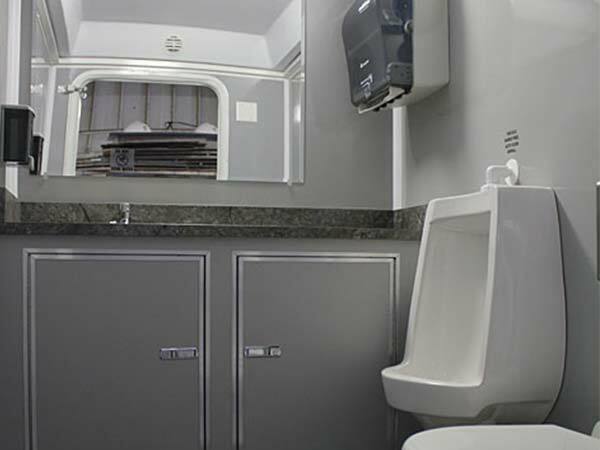 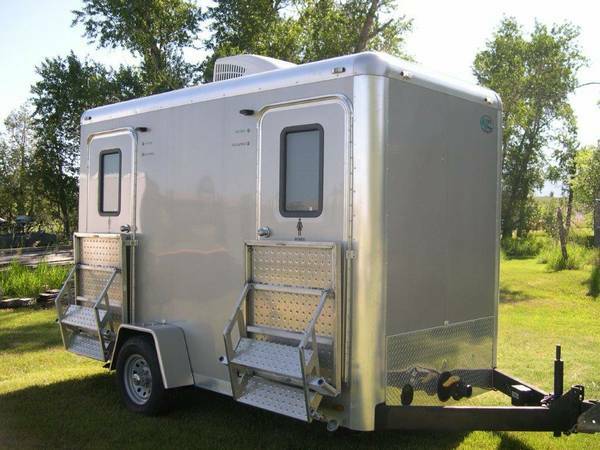 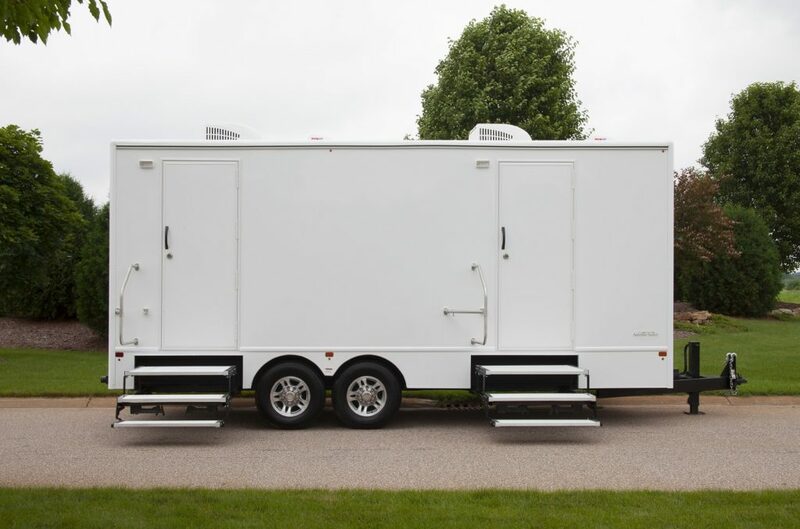 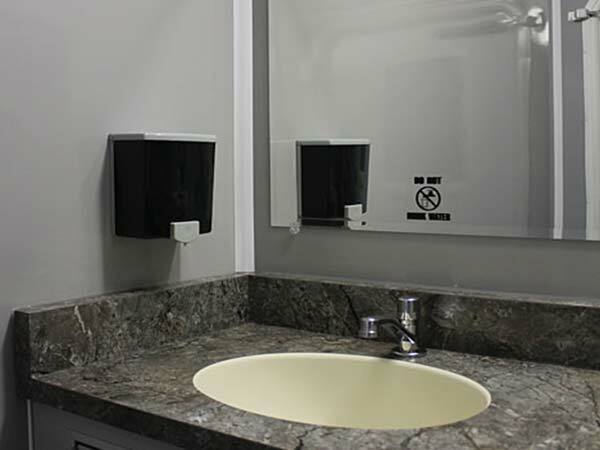 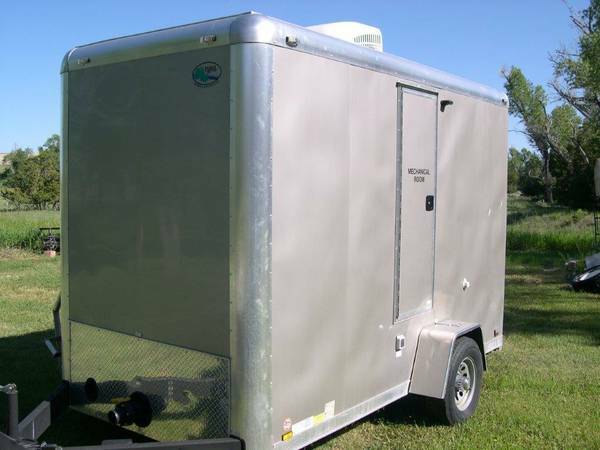 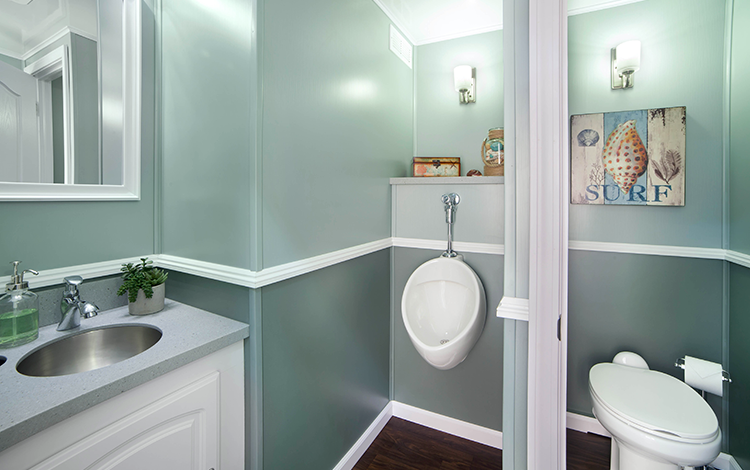 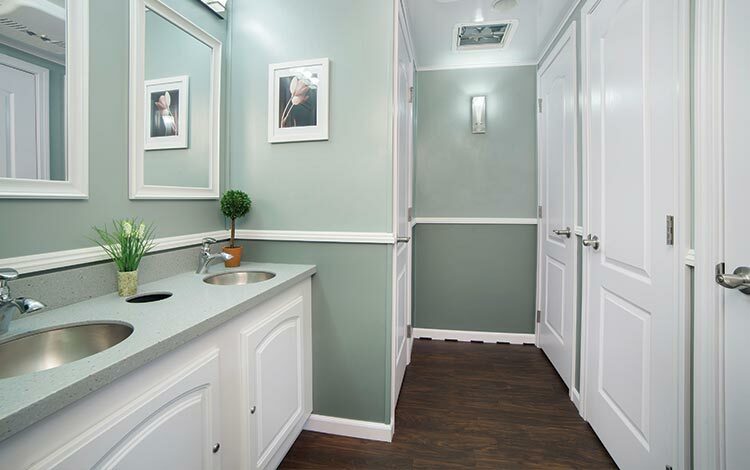 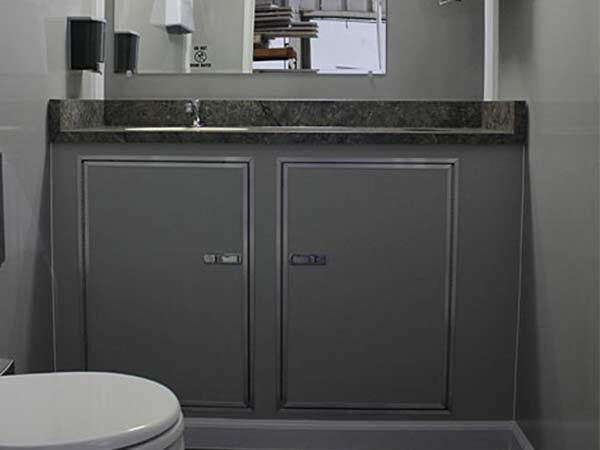 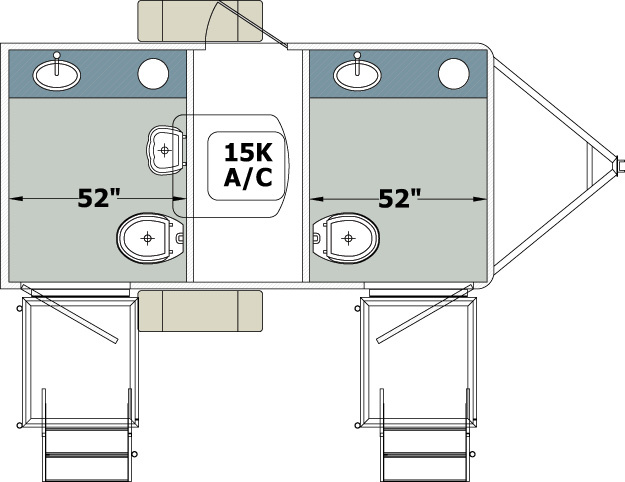 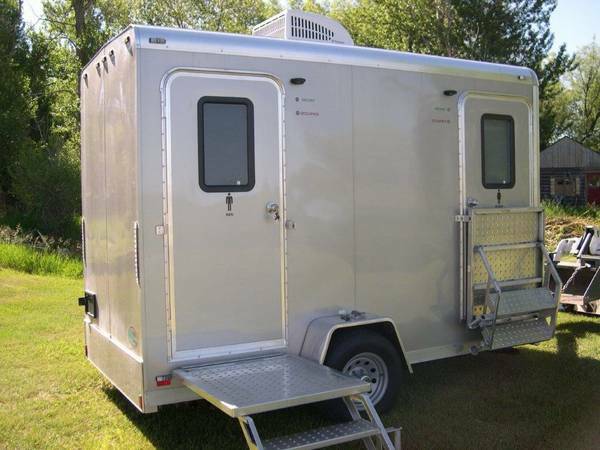 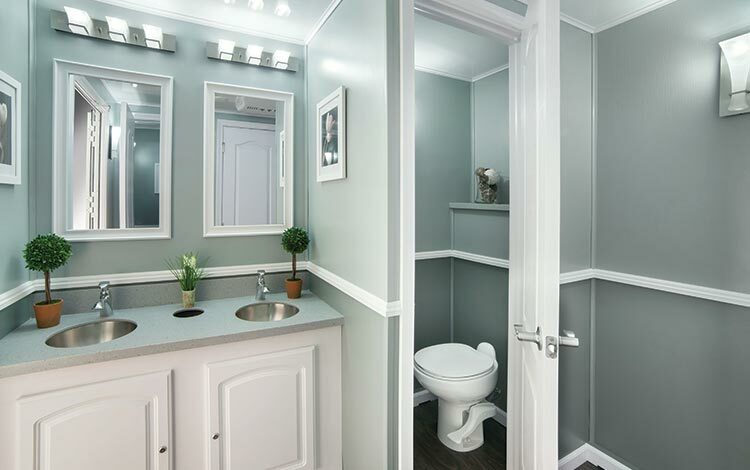 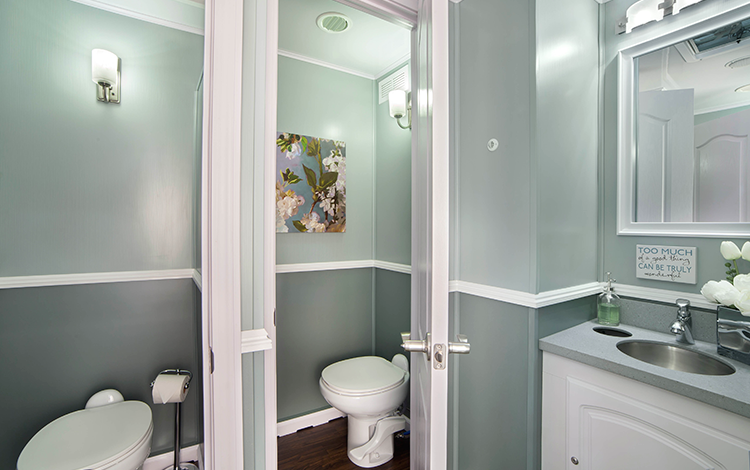 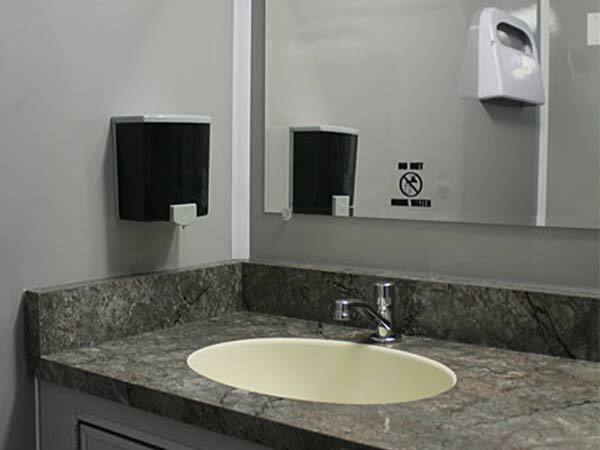 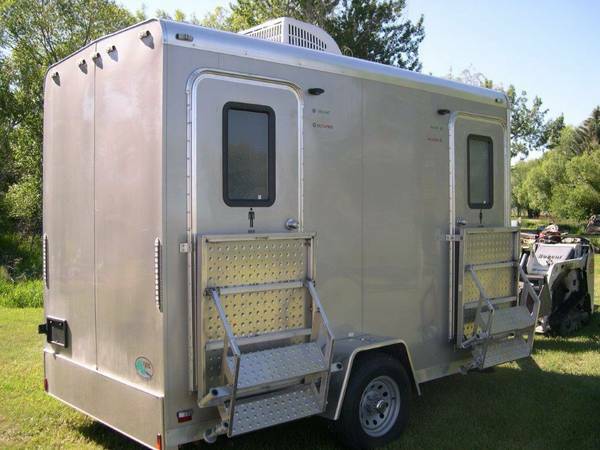 Modern and aesthetically pleasing, our 8-station restroom trailer is a roomy, even classy, addition to your next event.